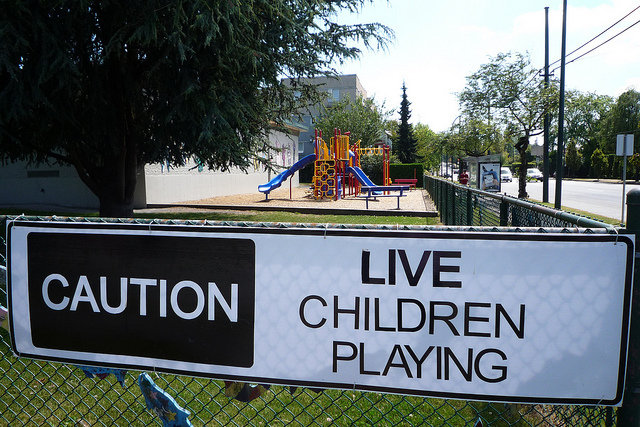 We never cease to be amused (and sometimes sickened) by absurd playground signage. This one has us scratching our heads. We would be more inclined to hang a "Caution" sign for undead playing children; as far as we know, live children pose only a minimal threat.